November | 2015 | Franchising You. Born and raised in central Illinois, Jeremy Brown grew up on a farm and has a deeply rooted agricultural heritage. He initially attended the University of Illinois to study and carry on that farming tradition but soon realized his fondness for flying airplanes trumped all others. He packed his bags and headed to Daytona Beach, Fla., to attend Embry Riddle Aeronautical University and pursue a career in commercial aviation. Unfortunately, due to the horrific events of Sept. 11, 2001, the entire aviation industry changed overnight. He returned home to Illinois and turned to the military, hoping he might still someday have the opportunity to fly. In 2003, Brown enlisted in the Air Force and was stationed at Malmstrom Air Force Base in Montana where he was responsible for supervising in-shop maintenance on equipment which supported 200 nuclear launch facilities and 23 missile alert facilities. Here he was prepared to transition to the officer corps and made the official switch in 2006. Brown spent nearly two years in Oklahoma going through Undergraduate Pilot Training and then moved to Hickam Air Force Base in Hawaii as a C-17A Aircraft Commander. In addition to his responsibilities as a pilot, he supervised a seven-member team that supported all administrative functions for a 120-member squadron. He earned numerous flying and military distinctions including two Air Medals for his efforts in Operations Iraqi and Enduring Freedom. In 2012, Brown was reassigned to Dover Air Force Base in Delaware as a Wing Executive Officer and C-17A Instructor Pilot. Unfortunately soon after being reassigned, he was medically disqualified from flying and would have to change careers. Although being an air force officer and remaining in the military was his primary focus, his MBA studies triggered interests in opportunities which extended outside the walls of the air force. These interests, coupled with his love for real estate, led him to acquire his real estate license. 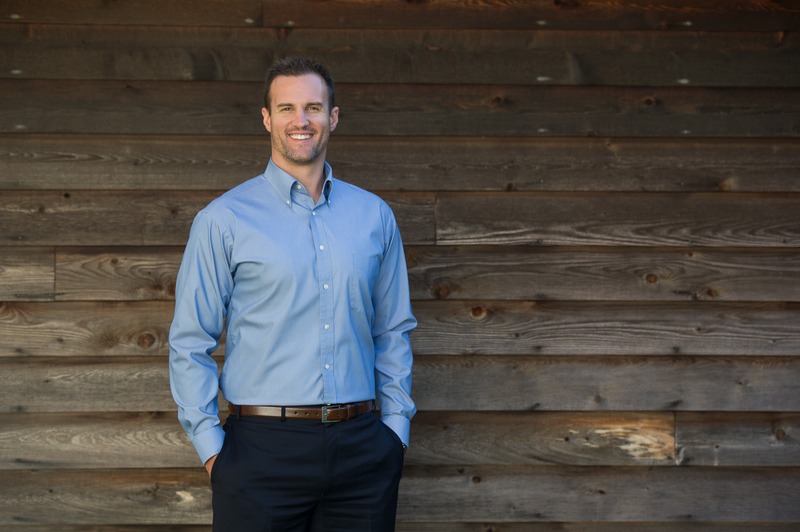 Brown later made the decision to officially separate from the active duty air force and put all of his efforts into real estate and working on his MBA with an emphasis in entrepreneurship. With an ever-present entrepreneurial mind-set, a new career plan unfolding, and a transition to civilian life, Brown began researching business and franchise opportunities when he found TWO MEN AND A TRUCK®. Inquiring about what opportunities were available to him and appreciating the business model of the brand, Brown soon signed to become franchisee for the Dover, Del., location. TWO MEN AND A TRUCK® CFO Jeff Wesley said he’s grateful for the hardworking and dedicated veterans within the system. With Brown’s location seeing a 98% customer referral rate, he is no exception. TWO MEN AND A TRUCK® is the first and largest franchised moving company in the United States. Let us move your career forward. We are proud to be part of the VetFran network! If you are interested in learning more about franchising with TWO MEN AND A TRUCK® visit, twomenandatruckfranchising.com. Each November, we take time to honor those who have served our country and reflect on the privileges we have due to their selfless sacrifices. We extend our deepest thanks to these brave men and women for fighting for our freedom. We are blessed to have a number of current franchisees with a military background. The service men and women who join our system are proven leaders who align with our core values and bring invaluable work ethic. These individuals have helped us grow for more than 70 consecutive months and are the reason we have been recognized with multiple military achievements. 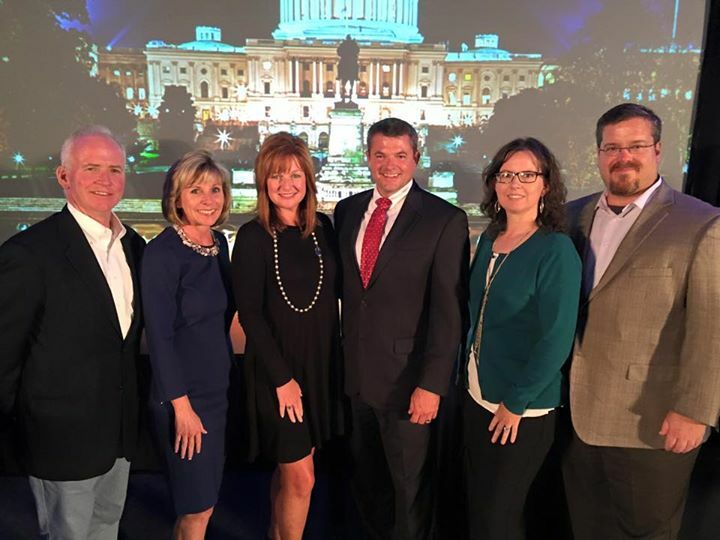 Center, Joey Hale recognized as Franchisee of the Year. One individual being Multi-Unit Franchisee Joey Hale who was recently awarded Franchisee of the Year by the International Franchise Association (IFA), a top honor among franchisees across the country. Hale has been with the system since 1998 beginning as a mover and driver in Knoxville, Tenn., and is now continuing to expand the brand on the West Coast in multiple cities in California. This year TWO MEN AND A TRUCK® ranked in the top 20 among Military Times’ 2016 Best for Vets Franchise Opportunities. The ranking only validates our brand’s commitment to actively recruiting veterans. TWO MEN AND A TRUCK® also earned a place on the G.I Jobs® 2015 Top 12 Hot Franchises for Veterans list. Additionally, The Franchise Business Review has recognized TWO MEN AND A TRUCK® on the list of Top Franchises for Veterans in 2012, 2014, and 2015.